Able Canopies install all over the UK and have 4 offices nationwide, meaning our teams of surveyors and fitters can service anywhere in the UK >>> find out more about Able Canopies. 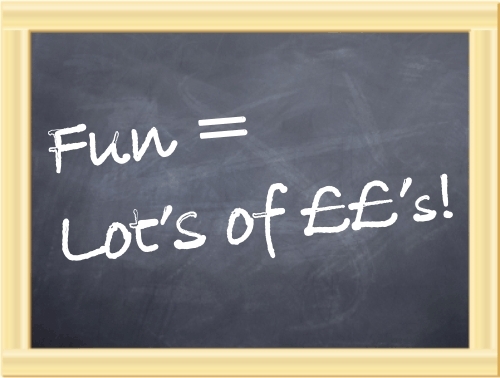 Raise ££'s by Having Fun and Getting Everyone Involved! Here at Able Canopies we have very busy looking for ways in which you can raise funds for your school, nursery or pre-school. We have put together an Official Fundraising for Schools Pack which is full of fundraising ideas which you have given to us. There is a wide range of fundraising events that you could organise including discos, seasonal fairs, quizzes and much much more… Download our FREE Official Fundraising for Schools Pack to view more ideas. Organising events is definitely a more sociable and fun way to raise funds. Getting the staff, pupils and parents involved is a great way to bring the community together and make friendships and provides your school or nursery with a good, friendly reputation. When an event that you have put lots of hard work into is not very popular it can be disappointing. That is why we have included a few important issues for you to remember when organising a fundraising event. Where possible always contact your local newspaper and local radio station, hopefully they will mention your event for free or maybe a small fee. Advertising in your local newspaper and radio station is probably the best way to get interest along with sending out information about your event via your school newsletter and asking parents and staff to spread the word. Another way to get interest and generate spectators/visitors is to promote you fundraising event on Facebook – create a fundraising page for your school and regularly update your “likers” about your events, not forgetting to publicly thank all those that took part. Licensing is needed for various events including events where you will be selling alcohol. For more information and to find out if you will need licensing for your event please contact your local authority. Does your venue have public liability insurance? You will need this, so make sure you check with your insurance if you will be covered before arranging an event. Don’t forget the most important thing of all – fundraising is meant to be fun so enjoy yourself and make sure that your spectators and visitors enjoy themselves so they come back for your next event. "Like" us on Facebook to keep up to date with our last funding tips and advice along with educational facts and activities to help children enjoy learning. If you are looking for a funds for your school but would not like to take part in fundraising today, then why not visit our funding page where you can find links to alternative funding and grants. You can also download our free funding guide which contains six of the best funding sources for schools and voluntary organisations. do not hesitate to contact our expert team today.